Under his direction the EKU percussion ensemble twice performed at the Percussive Arts Society International Convention (2003, 2005). Koontz has also performed as a featured artist and ensemble director at the Kentucky Music Educators State In-Service Conference (2003, 2005, 2007, 2013). The EKU steel band is recognized as an outstanding ensemble performing contemporary compositions for the steel band idiom, and has been selected and featured at the 2008, 2010, and 2013 for the PANorama Caribbean Music Festival in Virginia Beach. 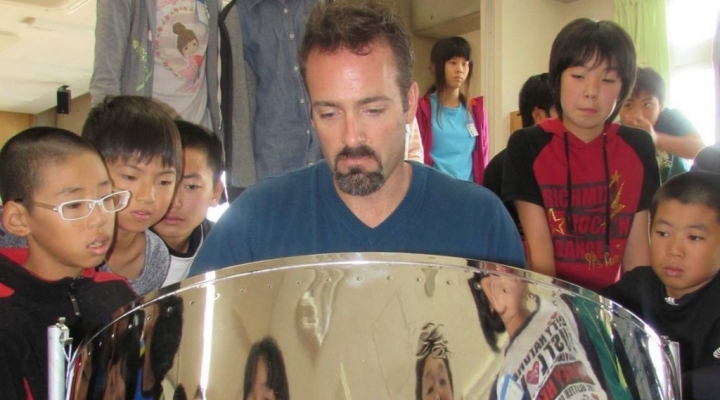 Koontz is active as a clinician and guest artist, at many high school and university programs, and facilitates musical tourism projects in Brazil and Trinidad for percussionists. He has traveled to perform and study world music/percussion in Canada, Europe (England, Holland, and Switzerland), Africa, India, Japan, Indonesia, Trinidad, and Brazil. Koontz is a founding member of the fusion group Global Rhythms, and has performed with such groups as Birdsong Steel Orchestra, Silver Stars Steel Orchestra, Blast, the Cincinnati Pops and Ballet Orchestras, Lexington Philharmonic, Richmond Symphony, Lexington Theater, the Art of Rice Traveling Theater (Indonesia), Tonus Percussion Trio, Resonance Percussion Sextet, Star of Indiana drum and bugle corps, Brass Theater, and the Southwind drum and bugle corps. He is currently the secretary of the Kentucky Chapter of the Percussive Arts Society, and is endorsed by Pearl-Adams, Vic Firth Inc., and Coyle Steel Drums. His compositions and arrangements for steel band and percussion ensemble are published by Drop 6 Media and Coyle Steel Drums, and Pan Ramajay productions.